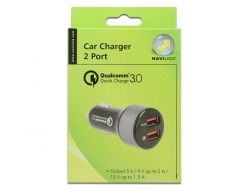 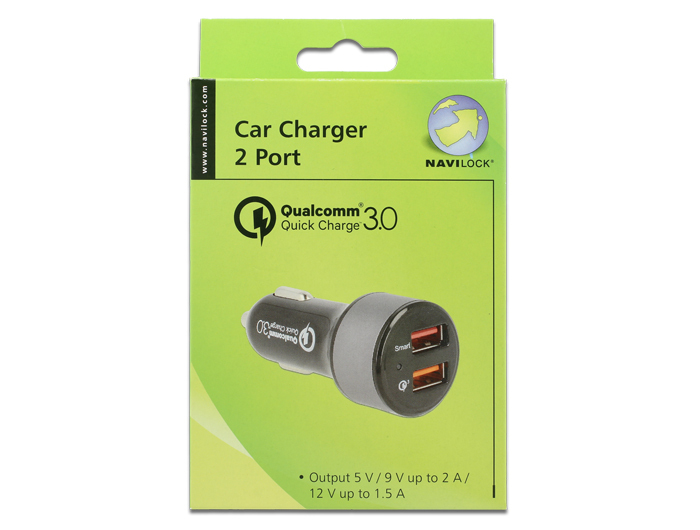 This Navilock USB car charger can be used to charge two USB devices. 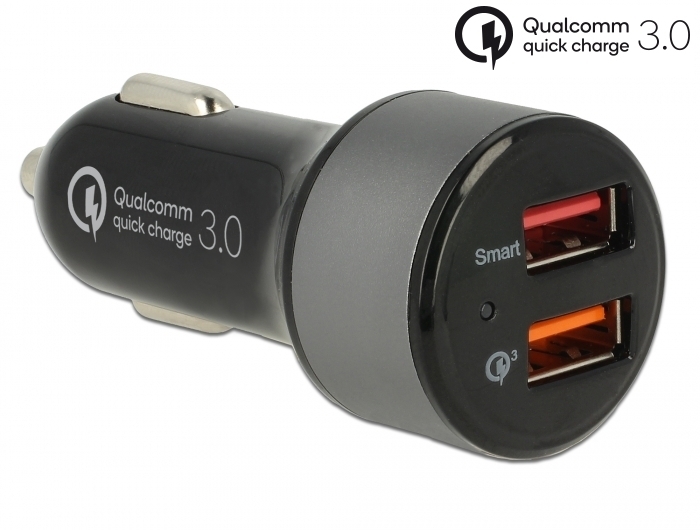 One USB port is equipped with Qualcomm® Quick Charge™ 3.0 technology, thereby supported devices can be charged up to 4 times faster. The second USB port provides up to 2.4 A with intelligent charging technology for conventional devices.